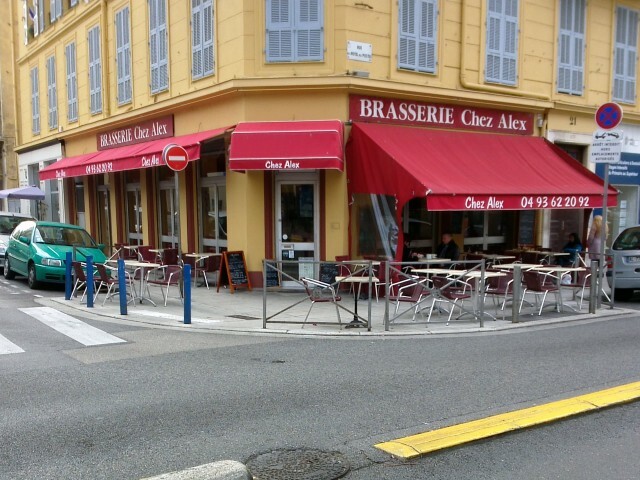 At Alex is a traditional neighborhood brasserie specializes in grilled in Nice. We have a fixed map of our grills and a dozen slates suggestions posted on the walls. The meat and fish are cooked on a grill in minutes based lava stones of fresh produce received each day. The suggestions are changed regularly as the seasons and the products found. We have a friendly and fast service in the tradition of Parisian brasseries, so no frills but extremely effective. Our daily prepared home every day are simple, hearty and tasty. Our menu of the day dish and dessert at € 13 a huge success. Come and see us and especially book, because we are in great demand!